In recent FA Cup years City have beaten Leeds Utd (then top of the Premier League) and held other Premier League teams Blackburn and Spurs to draws. Now it's one of the most famous teams in world football who will face the cauldron of noise and intimidation that it Ninian park. "Ninian Park is an amazing stadium and if I was an away player I wouldn't enjoy the experience," said McNaughton as the clock ticks down to a tremendous FA Cup tie at Ninian Park, possibly the last ever. "As a home player it's fantastic. 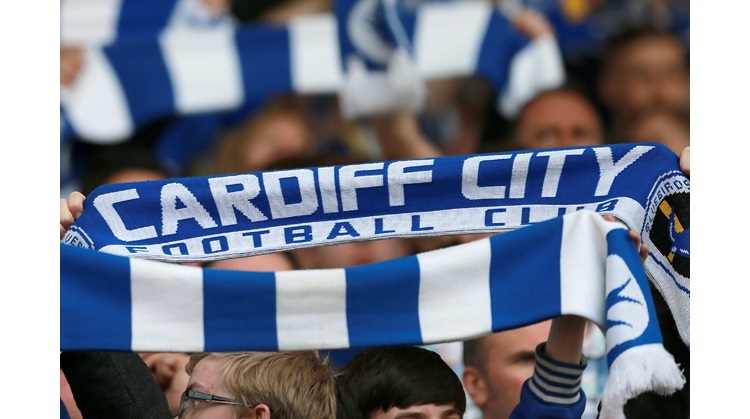 There is a great atmosphere at Ninian Park and I will miss that when we go to the new stadium. "The fans seem to be right on top of you- and I hope we can take some of that atmosphere to our new home next season. "I can't see any reason why we can't beat Arsenal on Sunday. We played Spurs in the FA Cup a couple of years ago and drew 0-0 to earn a replay. "That was a game we should have won and Spurs included players like Dimitar Berbatov, Robbie Keane, Jermaine Defoe and Aaron Lennon. "These are the matches you want to play in. I remember from my days at Aberdeen that when we played Rangers or Celtic it would give you a lift. That extra buzz - and adrenaline. "If Arsenal come and play their best football it will be tough, but we go into the game believing in ourselves. "We have worked on a couple of ideas for Arsenal. We know we will have a wee bit of space and time to play."